Round The Regions – Central. 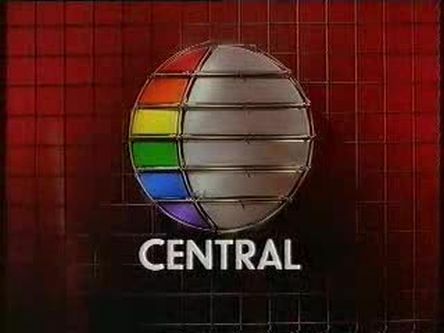 After the ATV name left the screen, the restructured company became known as Central from January 1982, a more relevant name as the company broadcast to the midlands. A bold new look was introduced for this, with Central’s first ident for me being weird on almost a TSW level. I’m not really sure what it is, an exploding eclipse moon ball thing, which then all closes back up again. In 1983 this was changed to the more familiar and slightly less creepy sphere which becomes illuminated and the colour spectrum appears on the left-hand side, with the music remaining the same. This would be used on endcaps on networked programmes until 1988, three years after it stopped being used locally. 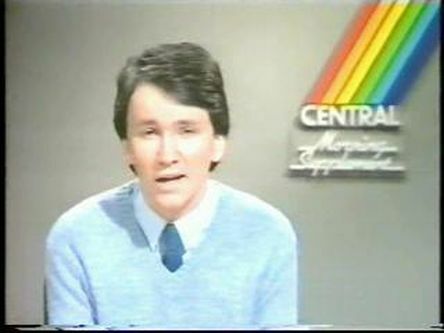 Central also had in-vision continuity in its earliest days, with announcers including Mike Prince who stayed on from ATV, and Gary Terzza who after in-vision continuity was dropped in 1987 became a CITV presenter as their presentation came from the now unused Central continuity studio, and in more recent years he has gone on to further success as an announcer on Channel 4. Of the archive clips of Central that I have watched online, one of the features that I enjoyed was the Central Morning Supplement, a feature in the early days under which daytime programmes were introduced. Announcers for this included Stewart White and Simon Willis who were both very enjoyable, but they both left Central after about a year and it seems at that point the feature was dropped. Central in its earliest days also closed down, they would usually have a weather forecast, then announce the various local independent radio stations that were available in the region, and they would have a special closing sequence with a specially made piece of music as the announcer said good night which was very effective. 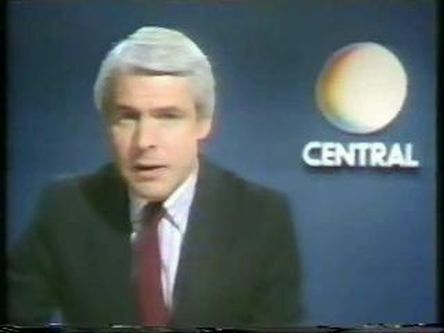 Central also had a local news service at this time which was simply called Central News. Central were very forward-thinking and as one of the biggest ITV regions they were among the first to experiment with computer-generated graphics. In August 1985, they introduced a 3D variation of their globe symbol which was a more stylised version split into various colours, which became known to viewers as the “cake”, and the earliest versions of these idents as the various parts floated around to form the shape were very similar to Channel 4’s ident. The cake would not be seen nationally by viewers until 1988. As the years went by, the cake became very familiar to viewers, and as Central were one of the first regions to go 24 hours a day soon it was appearing on the screen very regularly, with dozens of creative variations. Central also made lots of trails and used slogans such as “Let’s Get Together” and “The One To Watch” to promote their programming. Central also produced a huge variety of successful programmes for the network, from Spitting Image to Auf Wiedersehen, Pet, and many others. Central didn’t take much interest in the 1989 Corporate look, preferring to continue expanding their range of idents. As the 90s began Central added more and more cake variations which became ever more abstract with the symbol appearing on various different textures and in different colours, and it was still being used regularly until 1998. 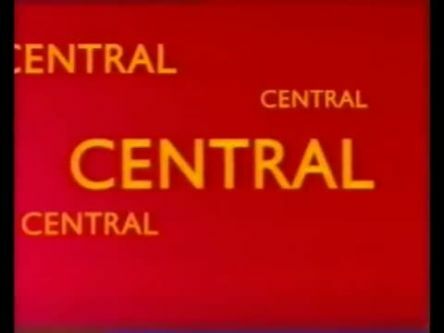 Then in April 1998 the cake was retired after almost 13 years as the “Carltonisation” of Central took hold, and suddenly their idents were in the same style as what viewers in London had become used to, with “CENTRAL” appearing in various colours. Viewers were rather unimpressed by this, but at least the name was still on the screen. Then in September 1999, The Carlton star look was introduced, and the Central name was no longer part of the ident. After building such a successful image for their viewers it was all suddenly gone. There were some attempts to suggest that the region’s name was now actually “Carlton Central” and the name was still very much alive, but it didn’t feel that way, despite the local news still using the Central name, and the Carlton star span on the screen in the Midlands until the end of regional ITV in October 2002. I quite like the Central Cake logo actually. It’s very nice and i like it. 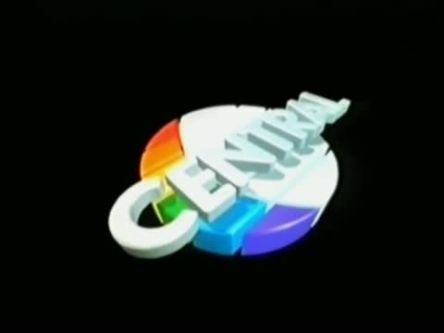 Also i think the Central Cake ident and animated endcap was actually introduced in August 1988. 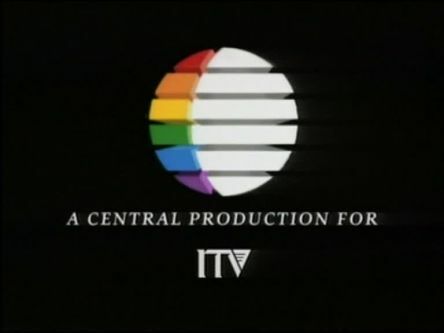 Central must have used the 1989 ITV Generic ident one with the David Dundas theme and one with Central’s reworked 1988 ident jingle which is also used on Central Video as well. And Central’s 1997 endcaps are the last to feature the Cake logo which had been in use since 1985 and on endcaps since August 1988. 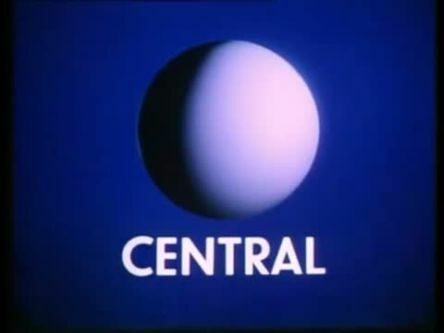 The exploding ball thingy in Central’s first ident was supposed to be a UFO, I believe. It wasn’t popular at the time – not to mention inflexible compared to the rainbow moon and the cake. 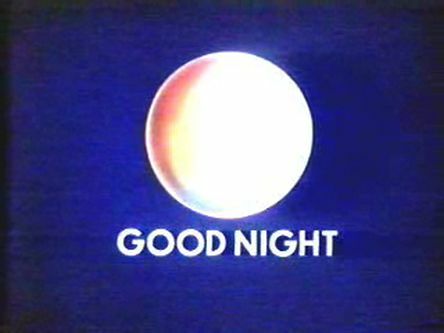 The rainbow moon was actually used from the start – most notably on the original endcap and on Central News – before getting its own ident to replace the UFO. 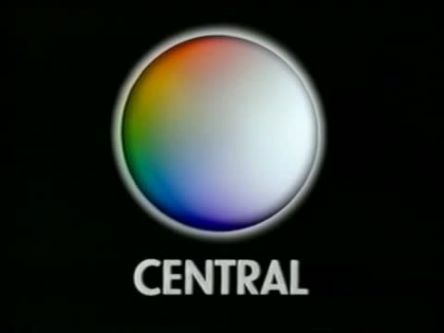 Central may also have been the very first TV station in Britain to go without the use of a clock – when it first came on air it used ATV’s digital clock superimposed onto a caption featuring the rainbow moon, but this didn’t last long. The animated endcap used in 1988/89 can, of course, still be seen on Challenge, whenever they repeat episodes of Bullseye and Family Fortunes from the period. It must have sparked a minor craze, because Scottish soon made their own animated endcap – but the practice was outlawed in September ’89 with the introduction of the first ITV corporate identity. The Carlton takeover came in 1994, and although the cake remained in use for another four years, the new owners did make changes during that time – first copyrighting Family Fortunes, Supermarket Sweep, Tots TV etc to “Carlton UK Television”, then closing down the Broad Street studios in Birmingham and replacing them with smaller studios down the road in Gas Street. And for anyone wondering what became of Mike Prince – in 2015 he launched the sadly short-lived local Birmingham station Big Centre TV, also serving as its chairman and director of programming. 133,206 visits to this blog.